After spending my life locked in my mother’s no-so-metaphorical cage, I’m ready to set myself free. Getting cast in a Vegas show was my ticket out … but I quickly realize that doesn’t mean I’m actually free as a bird. Instead of celebrating my new gig—Mom spends the evening setting me straight about a few things. I’m not who I think I am. Not even a little. When I meet my cast mates— five men who say they were sent to protect me—I’m wrecked and raw. They take me under their wing and I feel understood for the first time in my life. But they’re keeping secrets from me too … they aren’t ordinary men. They are hawk-shifters and they claim I’m part of a bigger purpose. I just wanted to dance, to move across a stage. But maybe I was meant for more. Maybe I was meant to fly. In fact, maybe I was meant to soar. 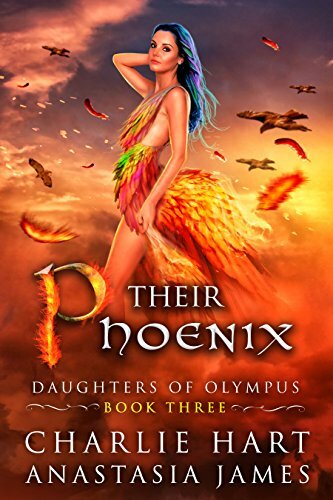 It’s time to spread our wings in this third installment of the Daughters of Olympus series! The battle is on and stakes are high—luckily there are five men on our side to help make the night sky a hell of a lot brighter —because when this harem gets together it’s fireworks. 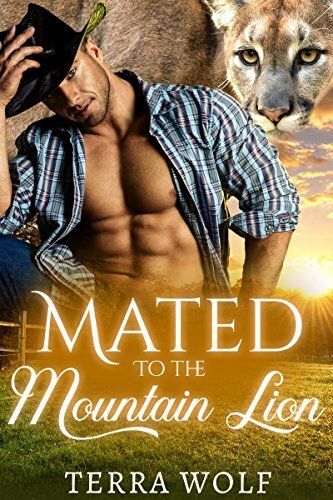 Mountain Lion shifter Dallas, is riding bulls, roping cattle, and living the life as a single cowboy. Until Autumn shows back up in town, and in his bed. When she left years ago he thought she didn’t love him, but now things seem different. Dallas never told her the truth about him being a shifter. Can he trust her with his biggest secret this time around? Autumn has been in Paris, running her own fashion line. After running away from everything and everyone she ever knew, she owes Dallas an explanation. Her plan was talk to him, but now, she wants so much more. Can Dallas and Autumn overcome their pasts and finally claim their furever? Bestselling PNR Author Terra Wolf brings you a standalone cowboy romance filled with drama and heat! Izzy is mine, and no curse is going to take her from me. I never thought I’d find my mate, and I certainly didn’t think she’d be a witch. I’ve watched my pack members find theirs time and time again, but for me, it wasn’t an option. I do my job, fight to keep my pack safe, that’s it. But when my beauty walked into my life, there was no stopping my instinct. I’ll do whatever it takes to keep her safe. She may think keeping her love from me will keep me alive when her curse takes her, but I know better. We’ll have our happily ever after. I’ll make sure of it. Katheryn Pine has returned home to heal her heart and her body. Broken and betrayed, she isn’t looking for love. She only wants to regain her independence. To live the life of her dreams, she needs to strengthen her body and find a good job. 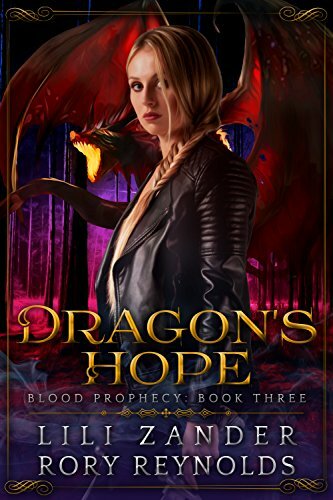 She’s done with relying on a man, even someone as hunky as dragon shifter Callan. Onyx dragon Callan has spent centuries amassing his treasure. He’s awoken from a deep slumber by a powerful government who refuses to give his treasure back unless he fights the Outsiders. He’s furious. The treasure is his and he intends to give it to his mate. Determined to learn more about the world he’s being forced to defend, he ventures into the city where he meets a smart, funny, and beautiful woman. While Katy focuses on her health, Callan mourns a centuries’ old wound. Neither is ready to love, but as the bond grows between them, so does the potential for it all to go wrong. Scared by how fast it’s moving, Katy tries to put on the brakes, but Callan has found his true mate and he’ll do whatever it takes to claim her. A deadly wolf. A mysterious curse. I thought my life was complicated before. Turns out, my problems are just getting started. Episode 3 of the reverse harem serial Blood Prophecy. Adult situations. Snarky heroine who likes to swear from time to time. 18+. 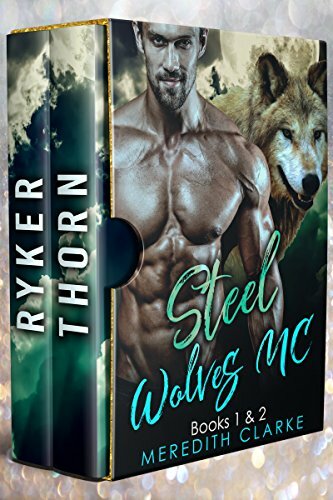 Always protect your pack and always protect your mate.This Steel Wolves MC duet contains two full-length books, Ryker and Thorn. Ryker feels completely alone and broken. After serving in the military, he has been hiding a secret about what happened overseas. A secret he blames himself for and one he isn’t willing to face. Since he has been home he has tried to push away the one family he has ever known, his father’s wolf pack and motorcycle club. But the new alpha of the pack is not taking no for an answer any longer. When Ryker meets Ashton, his whole world changes. He has something worth fighting for again, and he will do anything to protect her. Even if it is from her family. Ashton is a half coyote shifter. When her brother died in the military, his pack stepped in to take care of her. Since her father’s passing, they are now the only family she has left. Her loyalties to the pack are questioned when she meets Ryker. Can she fall for someone that is outside of her pack? And that gift is attracting the completely wrong men. Not only was her ex a coyote shifter, he was also mentally and physically abusive. The only positive of that relationship was that he gave Brea her son, Haiden. 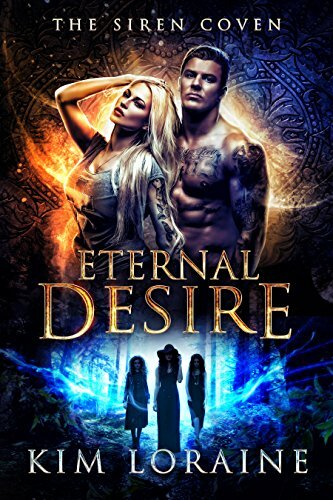 Brea thought she got her ex out of her life for good, but when he comes back to haunt her and threatens to take their son, she has no idea who to turn to for her. Thorn is a pack member of the Steel Wolves MC. His wolf is protective in nature and he would do anything to protect his brothers. When he meets Brea his loyalties start to change. Soon he would do whatever it takes to protect her and her son. No matter if causes war with the rival coyotes or not. When a renegade thief and a genetically enhanced mercenary collide, space gets a whole lot hotter! Thief Kara Shimsi has learned three lessons well – keep her head down, her fingers light, and her tithes to the syndicate paid on time. But now a failed heist has earned her a death sentence – a one-way ticket to the toxic Waste outside the dome. Her only chance is a deal with the syndicate’s most ruthless enforcer, a wolfish mountain of genetically-modified muscle named Davien. The thought makes her body tingle with dread-or is it heat? Mercenary Davien will do whatever it takes to get back into space. The last thing he wants is a smart-mouthed thief – even if her scent drives him wild – and she may have the clue he needs to hunt down whoever destroyed his home. Caring is a liability. Desire is a commodity. And love could get you killed. Given is the first science fiction romance novel in The Star Breed series. No cliffhangers, no cheating, HEA guaranteed!